This year, you can send your family and friends personalised Christmas cards and save yourself money, too. 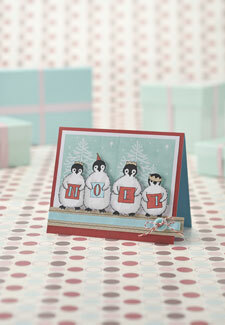 Moonpig.com are offering 50% off Christmas cards, when you order 5 or more. You can create cards to cater for each of the receiver’s needs and likes. You can upload photos, write out all your personal messages online and the website even posts the cards out for you! There are hundreds of templates to choose from on the site – from spoof and cartoon to photographic and arty.